In another close growth battle, Lucario and Renamon brought their competition to the Sahara Desert today! With no manmade or natural equipment at their scale, they once again improvised suitable nets and an Aura Sphere volleyball! 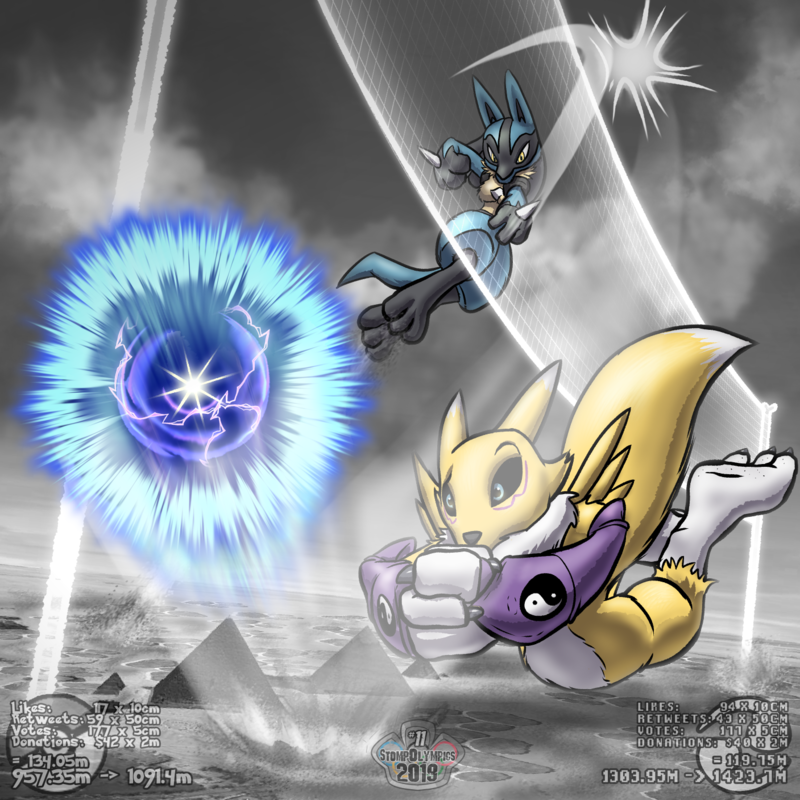 By 134.05 to 119.75, though, Lucario outgrew her opponent today and secured a six-four lead over Renamon! It's not over though, as Renamon is still head and shoulders above Lucario's height! A commanding 332.3m lead still remains between Lucario and the Growth Contest prize! Donations help the most, but every centimeter helps! This makes me wonder whether the public that's watching the Games have been rooting for Lucario and Renamon, or running from them, or both. ':-?